Acu-Health Nature Cure Institute is a Holistic Health Care Center based in Mombasa offering Various Natural and Energy based Healing Modalities to gently and safely correct underlying energetic imbalances and restore your body to its natural state of Balance, Health and Well-being. Ally Dharamshi is a Certified Associate Pranic Healer, Traditional Usui Reiki Master, Registered Karuna Reiki® Master, Magnified Healing® Master/Teacher, Acupuncturist, Homoeopath, Quantum Entrainment® Practitioner and a Nutritional Coach. He is also Licenced by the Ministry of Health to Practice Alternative Medicine in Kenya. I am an Associate Certified Pranic Healer, Traditional Usui Reiki Master, Registered Karuna Reiki® Master, Holy Fire Reiki Practitioner, Magnified Healing® Master/Teacher, Acupuncturist, Homeopath, Quantum Entrainment® Practitioner and a Nutritional Coach. I am also licenced by the Ministry of Health in Kenya. 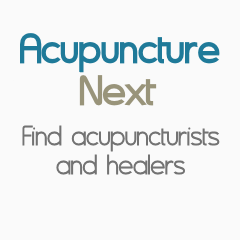 I have been interested in alternative healing therapies since a very early age and began using Acu-Pressure(Acupuncture without needles) to treat family and friends as a child. I now have over 20 years experience using various Alternative Therapies and my Passion for healing has led me to Experiment and Research extensively and Study various Natural Therapies in order to find the most Effective Therapies with Minimal or No side effects, to Manage Pain and Treat the Chronic Ailments that plague humanity in this day and age. I take a holistic approach to healing to address not only the physical symptoms, but also the Emotional, Spiritual, Psychosomatic and Nutritional factors underlying the symptoms. I am the Co-founder of ‘Acu-Health Nature Cure Institute’- a leading Alternative/Complementary Therapy Clinic and Pranic Healing Center in Mombasa. I am also a Member of AskHealer and the Reiki Healing Association, which are global networks of healers online providing healing services. Fellow of ‘The Association of Chartered Certified Accountants, UK.’- F.C.C.A. Institute Of Alternative Medicine (Mumbai, India). Diploma in Magnet Therapy (D.M.T). International Center for Reiki Training (U.S.A). GMCKS Pranic Healing Foundation of E.A. - Affiliated to the World Pranic Healing Foundation(WPHF) & The Institute of Inner Studies(IIS), Philippines.